The Venezuelan Flag has three stripes. On the blue stripe there are eight stars that symbolize the 7 provinces that signed the Independence Act on July 5,1811. In 2006 the President of Venezuela Hugo Chávez ordered the addition of an eighth star which represents the Guyana Province. 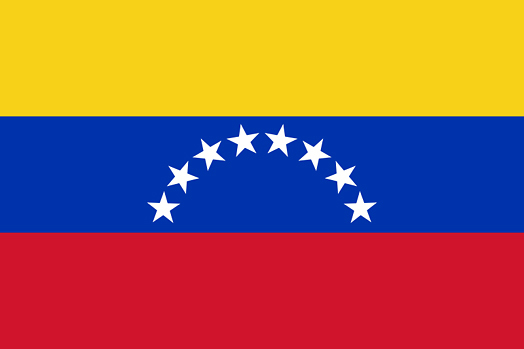 The flag of Venezuela was adopted on March 12, 2006. El Día de la Bandera or the Fiesta of the Venezuelan Flag is celebrated every August 3. Until 2006 it was celebrated on March 12.